The following article is a critique of a recent contribution on debate surrounding the ALP’s ‘Socialist Objective’ by ALP Shadow Treasurer, Chris Bowen in a Fabian Pamphlet. Bowen’s ‘Crosland-ite’ agenda has more depth than is to be found in other corners of the Right-faction. But Bowen fails to come to grips with the potential benefits of a democratic mixed economy. Meanwhile in the Left itself we do not engage with the implications of the ‘Socialist Objective’ – socialist culture is fading amidst day-to-day practical opportunism. In a recent Fabian Pamphlet (‘What is Labor’s Objective?) 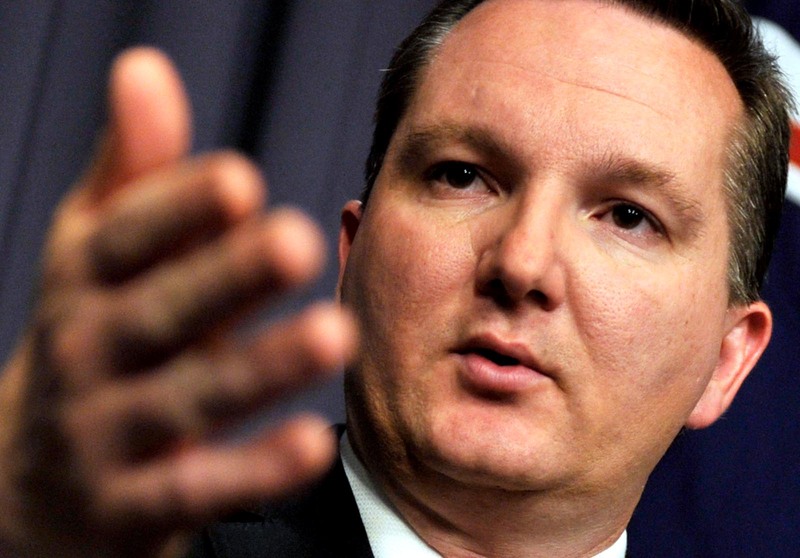 Shadow Treasurer Chris Bowen makes his case against the existing Socialist Objective. Thereafter Bowen rejects those parts of the Objective which propose “the establishment and development of public enterprises” as well as “democratic control of Australia’s natural resources”. Specifically he suggests the privatisation of Qantas was justified; and that the alternative was a waste of public funds. He concludes the Objective is out of date because it says nothing about multiculturalism, indigenous rights, engagement in the Asia-Pacific, preservation of the natural environment and action on climate change, and also equality of opportunity in education and equality of outcome in health. He states: “We should mean what we say in the socialist objective. Currently we don’t. It clearly does reflect the modern Labor challenge, and with some updating it could very easily do so." Firstly, Bowen would be wrong to suggest that a Socialist Objective in the Labor Party would have to exclude indigenous rights, the environment, the nurturing of a multi-cultural Australia, or engagement in our region for the extension of beneficial trade and the preservation of peace. It is true that the Objective was originally penned in the 1920s and probably needs to be updated. But Australian socialists – and indeed Australian Communists as well – were amongst the first to promote these causes; as well as the cause of free, universal and equal suffrage. It is not a stark choice: of ‘these important modern causes on one hand, OR of socialism on the other’. In the context of alluding to Labor’s historic support for extensive privatisation, Bowen appears specifically to reject passages which commit Labor to: “the establishment and development of public enterprises” as well as “democratic control of Australia’s natural resources”. Following this he suggests his opposition to the “state socialism” – a common ‘political-bogeyman’. To start the meaning of ‘state socialism’ as argued by Bowen is not properly laid out. In the past the term has been used to describe a centralised command economy after the way of the former Soviet Union. But disturbingly it has also been deployed with the apparent aim of stigmatising any kind of extensive mixed economy. Any form of democratic socialism or social democracy which supposes a significant role for the state as an economic participant is commonly ruled out as ‘state socialism’. In response to these kind of arguments: while there are solid reasons for socialists to support a ‘democratic mixed economy’, you don't have to be a socialist to support these kind of policies. A mixed economy with a substantial role for natural public monopolies, government business enterprise, public authorities and public infrastructure - was supported by Conservatives – even including Menzies - for decades. But the point - ironically - is that while we may aspire to a more democratic economy, natural public monopolies are also good for capitalists. (and indeed for consumers as well) This is because natural public monopolies can reduce economic cost structures in such a way as flows on to the private sector. Hence a ‘hybrid-democratic-mixed-economy’. Continuing: strategic government business enterprises are good for competition - and hence also good for consumers. Specifically, they can frustrate any collusive economic behaviour between corporations - and prevent the rise of private monopolies. These kind of policies – which can include strategic extension of the public sector – should not be ruled out as a consequence of some confused shibboleth of ‘state socialism’. Further – while the creation of a ‘democratic mixed economy’ can be desirable for socialists/social democrats and social liberals alike – a ‘modern socialist objective’ need not restrict itself alone to the extension of the public sector. (though that should certainly be part of the agenda) Consumer associations can also empower consumers; and mutualist and co-operative enterprise of various kinds can overcome exploitation and sometimes also alienation - while nonetheless preserving market relations and avoiding the problems associated with a ‘traditional command economy’. These issues are indeed more complex than assumed both by orthodox Marxists and also by capitalist ideologues. Regarding exploitation: while there are problems with the Marxist ‘labour theory of labour’ which assumed all labour to be equal; nonetheless the structural relationship of exploitation – of the expropriation of a surplus – remains problematic. And while deferral of consumption by small investors may deserve a return, the economic resources and returns for the wealthy cannot be justified in such a way. Finally: alienation remains a reality on account of the repetitive and stressful nature of much work. But democratic structures and processes can ameliorate the lack of control working people have over their labours; and promote a sense of ownership over those labours and the products of those labours. Government can also intervene to provide wage-justice for the working poor – on the basis of respect for all labour. Also government has a role to deliver the welfare dependent from poverty; and to provide opportunities for personal growth – through reduced working hours and a fair age of retirement; but also ensuring access to cultural participation and education. Education must also be about personal growth, and not exclusively about the demands of the labour market. In conclusion, Bowen’s ‘Crosland-inspired social liberalism’ has more to recommend it than the typical neo-liberalism we endure in the public sphere every day. At least he sees a role for government in ensuring ‘hard and soft infrastructure’. Ideas of ‘soft infrastructure’ could also be extended to provision of public (physical and virtual) space for civic activism – as opposed ‘the privatisation of public space’ we have become used to – where public life is reduced to consumerism. Meanwhile his stated goal of ‘equal outcomes in health’ suggests a very robust public investment; including specific programs to ‘close the gap’ for indigenous Australians, the poor, the mentally ill and so on. However Bowen's rejection of public exploitation of Australian natural resources, and the strategic creation of public enterprises, simply adheres to the Ideology of the day - without concern for the tens of billions in forsaken revenue from natural resources on the one hand, and the ability to progressively cross-subsidise, enhance competition, provide efficiencies through natural public monopolies, and socialise profits - on the other. In conclusion, there are some points worth observing here. Firstly it is legitimate to argue for Labor to mean what we say and say what we mean. A problem with the Socialist Objective as we have known it has been the confusion as to what comprises exploitation. For Marxists exploitation means more than just poor wages and conditions. It refers to the expropriation of surplus value from wage labourers by capitalists. It suggests a structural injustice where capitalists expropriate part of the value that in fact they do not create themselves. They expropriate a portion of the value created by workers. Hence a devastating moral critique. The problem here is the idea that socialisation of “industry, production, distribution and exchange” to the extent necessary to end exploitation actually infers blanket socialisation if one is proceeding form a Marxist definition. Because all wage labour involves the expropriation of surplus value. By contrast some non-Marxist definitions might simply infer the elimination of poverty and the promotion of social inclusion in a ‘Third Way’ kind of sense. Obviously the difference, here, is great – and we need to be clear what we really mean. Hence the famous ‘Blackburn Amendment’ (made to the 1921 Objective; and proposing socialisation where necessary to end exploitation) is confusing in the sense it leaves open the question of how we interpret that exploitation. But within the Left itself we are already losing touch with our socialist roots. We might well fight to preserve the Socialist Objective doggedly and persistently: but many of us would have no idea as to its meaning and origins. Marxism itself has become ‘decidedly unfashionable’. Marx once wrote something to the effect that socialists cannot change the world ‘behind peoples’ backs’. Hence it is a mistake to suppose holding on to the Socialist Objective will have the kind of consequences democratic socialists want – unless it finds reflection on our day to day discourse; in the consciousness of our activists; and in our actual policies. A smart move would be to include material which makes gestures towards the plural nature of today’s Labor Party – which is simply an observation of fact. But while at the same time establishing democratic socialism and radical social democracy as core traditions in the ALP – which inform our values, our policies, and the Platform itself. If we are to retain the Objective – perhaps in an updated and modernised form – then in the Left itself we must commit to having democratic socialist values and ideas inform our policies and our activism. This means a counter-culture involving forums, publications, democratic socialist schools and conferences – which preserve and cultivate Left culture – and prevent the dissolution of our traditions into an opportunistic, uncritical and ‘mainstream’ liberalism which forsakes the critique of capitalism; or which abandons the projects of economic democracy; of social wage and welfare extension; of popular struggle ‘from below’ including class struggle; and the strategic extension of the public sector. IN short: On the ALP Left itself we need to get our own house in order as well as fighting for reform of the National ALP Platform. If we fail ‘to get our own house in order’ any number of temporary symbolic victories will in the end come to nothing. Nb: Debate on this essay is very welcome here! An analysis of where Labor should head on its Economic Platform specifically can also be found via the URL below – and debate is welcome there as well.